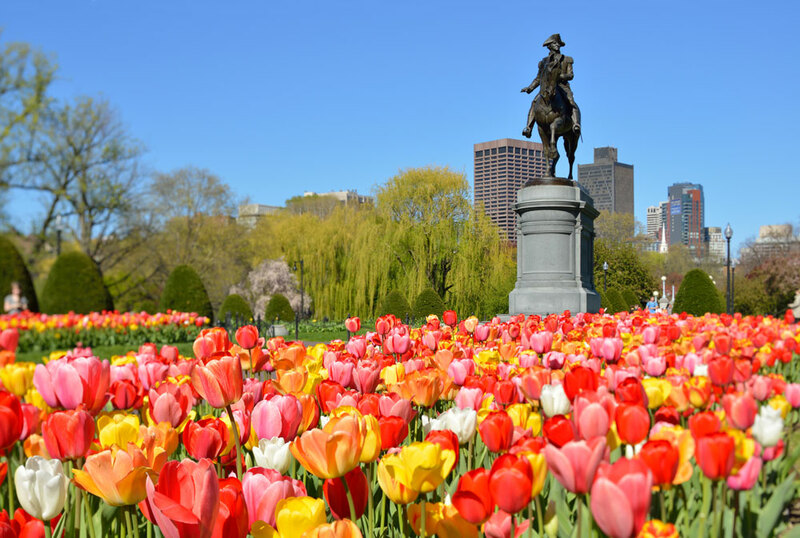 Find out what to do and where to go in the historic City on a Hill while staying at the most iconic and longstanding hotel in the city -- Taj Boston. Conveniently located directly across the street from Taj Boston, you will find the verdant Boston Public Garden. Designed after the Victorian gardens of Europe, the meticulously groomed landscape features seasonal floral displays and over a hundred varieties of native and imported trees. Planning for the 24-acre park began in 1837, making it the first public botanical garden in the United States. Visitors can meander through the garden’s pathways and admire its floral beauty and gorgeous sculptures or they can take to the water by Swan Boat. 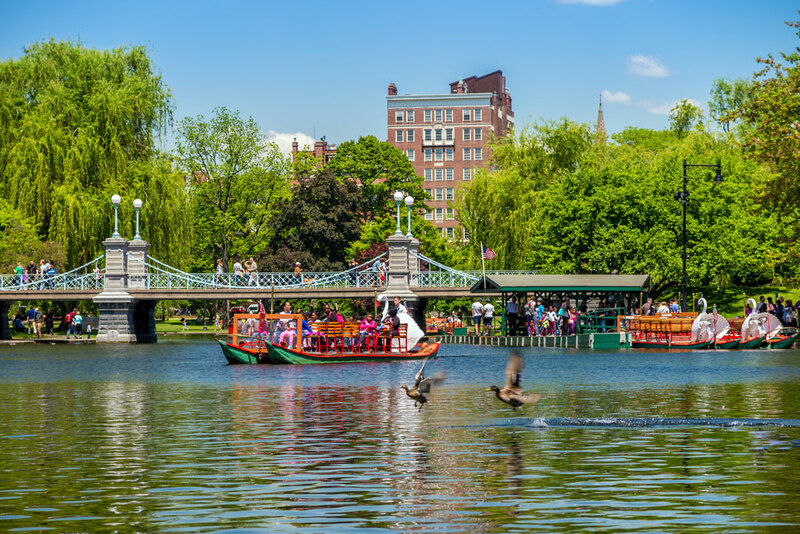 One of the more popular features of the Boston Public Garden, the charming Swam Boats take you on a fifteen minute ride around the park’s pond. The lush garden didn’t start out that way. Boston’s Back Bay neighborhood, where the garden is located, used to be mudflats. In the early 1800s, an expansive filling project began to turn the coastal wetlands into buildable land. There used to be a hill in Boston’s Beacon Hill area by the name of Mount Vernon. The earth was moved by handcart and railcar to fill Back Bay until the hill no longer existed. The project transformed the landscape into the area we know today. The initial plan proposed for the land the Boston Public Garden sits on was for it to be used as a graveyard, but was quickly voted down. In 1837, Supreme Court justice and Boston philanthropist Horace Gray proposed a more popular idea - to have the land be used for a public botanical garden. George Meacham was hired as the project’s architect and was the creative force behind the garden’s beautiful design. The project was completed in stages over the 1860s with city engineer James Slade and forester John Galvin building out the winding pathways and colorful flower beds. While there’s no wrong way to enjoy the park, we highly recommend the free public tours being offered by Friends of the Public Garden every Tuesday, Wednesday, and Thursday at 4:00 p.m. and Wednesday at 10:00am from May 23 through Mid-September. For the length of the hour-long tour, you will be accompanied by two volunteer docents who will share the history and explain the horticulture of America’s first public botanical garden. During your next stay at Taj Boston, we hope you’ll spend some time enjoying our front yard - The Boston Public Garden.